Moser has been appointed Sales Engineering Representative for GRAPHALLOY® in Texas, Louisiana and southern Arkansas. “David's extensive experience with industrial machinery will help our customers use GRAPHALLOY to achieve greater equipment reliability,” stated Eben Walker, General Manager of Graphite Metallizing. 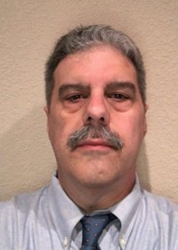 Graphite Metallizing Corporation, the manufacturer of self-lubricating GRAPHALLOY® bushing materials for pumps and process equipment, has appointed David Moser as Sales Engineering Representative for Texas, Louisiana and southern Arkansas. Moser holds a B.S. degree in Mechanical Engineering Technology from Southern Polytechnic State University. He has has over twenty years experience in the industrial market place, much of it with a manufacturer of centrifugal pumps. Moser will be based out of his Houston office. Graphite Metallizing Corporation of Yonkers, NY has been solving tough bearing problems for over 100 years. The company began in 1913 when two engineers developed a method for putting molten metal into carbon to create a new material called GRAPHALLOY, a graphite/metal alloy. Used in the manufacture of bushings, bearings and other components for machinery and process equipment, GRAPHALLOY can be the solution to the toughest bearing, bushing, thrust washer, cam follower, or pillow block bearing design problem. It is available in over 100 grades with specific properties that meet a wide range of engineering solutions and specifications. FDA accepted grades of GRAPHALLOY are available for use in food service equipment. NSF® International has certified two grades of GRAPHALLOY material for use in municipal well pumps and water treatment plant applications. GRAPHALLOY bearings have operated for 20 years and longer in some applications. Standard designs are available but most GRAPHALLOY products are custom designed to the unique requirements of the specific application. Graphite Metallizing Corporation is ISO certified. For more information about Graphite Metallizing and its products, please visit us online at http://www.graphalloy.com or call 914-968-8400.